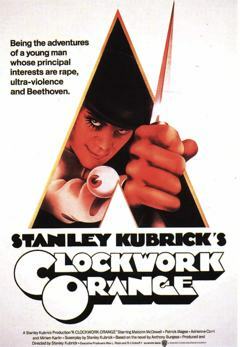 A Clockwork Orange is a brutal Stanley Kubrick film, based on the Anthony Burgess novel. 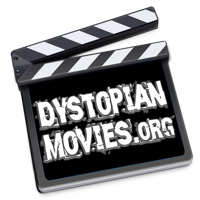 In the near future society is in decay, and the streets are overrun by violent gangs of youths. The government has a new heavy-handed test project, designed to re-program these renegades, in order to free up the overcrowded prisons to make space for political prisoners. It’s one of Kubrick’s most controversial films. The moral question – is free will necessary for true goodness to develop? This is not one of my favourite Kubrick films, it doesn’t make for comfortable viewing. But I think its still an important one. When the Anthony Burgess novel was originally published, it had 21 chapters, but the American edition was printed with only 20 chapters. The final chapter was missing, in which our anti-hero Alex finally levels out, and settles down into more normal pursuits of adulthood. However when Kubrick wrote the screenplay he was unaware of this final chapter, and so the film is based on the rather more stark and pessimistic American abridged version of the story. Anthony Burgess was actually not too keen on this novel after he’d written it, but now its out there, and people have latched onto it as a significant work. The central character is a perhaps a bit of a caricature, but it’s an opportunity for us to witness the inner mind of a young man, who oozes superficial creepy charm and yet is utterly self-centered, with no regard for the misery and devastation he causes. In fact, he seems to revel in it. Is he a product of a broken society? Or is society broken because of the rise of dead-on-the-inside individuals such as him? Maybe this is an unanswerable question. Rather than being a one-dimensional study of a ruffian, however, the story turns the whole thing around, and looks at a government that is similarly ‘broken’. First of all, the Minister we see, has an entirely plausible explanation for his project – wanting to ‘ethically reform’ these juvenile delinquents. But on closer inspection, he’s not really interested in their well being. He wants to make space in the prisons for ‘political prisoners’, whatever that means! Well, I guess it means anyone who is opposed to the government. So, rather than any meaningful rehabilitation of youths gone off the rails, what he really has in mind, is a forcible biological ‘re-programming’. This doesn’t bring ethics or conscience into the equation, we see that Alex’s desires and urges remain, as does his disregard for anyone but himself. Instead, he is rendered physically unable to carry out those desires. The question left unanswered is, what to do with those who do not choose, of their own free will, what you would wish them to choose? In this world dominated by the global corporations and politics of Laissez Faire economics, where anything goes, this is probably a question we should look at more closely. the more horrific shown in slow-motion where as in the dvd it’s shown at regular speed.